The long holdings of small speculators, who are consistently on the wrong side of trades, are falling. The long holdings of commercials, who are consistently on the right side, are rising. And as the gold/silver ratio continues to tiptoe above the 80-level, the most consistent ‘Strong Buy’ signal there is for the silver price, the upside opportunity at current levels is remarkable. A couple of my favorite silver indicators are lining up to suggest higher silver prices in the near future. First is the gold/silver ratio, which simply tells us how many silver ounces it takes to buy an ounce of gold at a given point in time. The ratio has just recently hit 81, which is extreme, as it has only happened a handful of times since 1980. This has often been a “reversal” turning point with the ratio falling, possibly pointing to considerably stronger silver prices. The second indicator is sentiment-based. 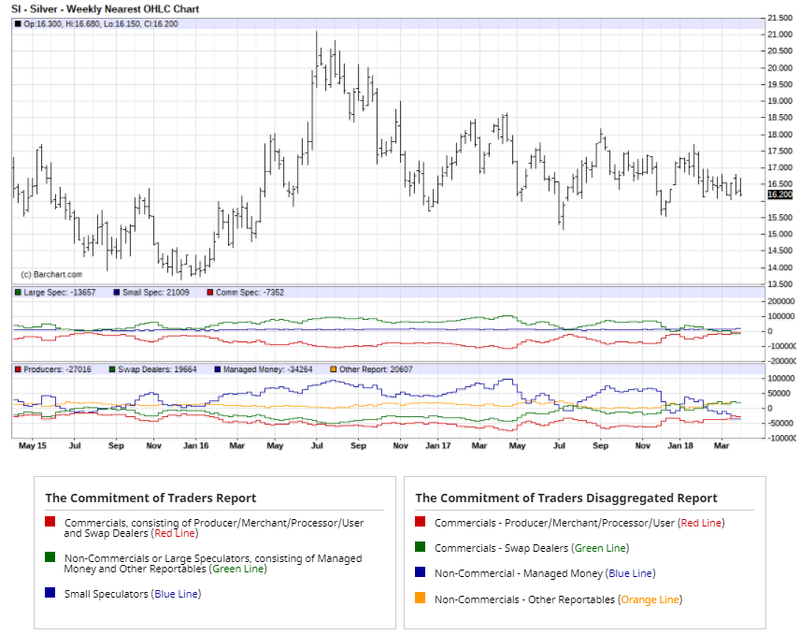 By looking at the Commitments of Traders (COT) reports for silver futures, we gain insight on the possible direction of silver prices. The latest report tells us that silver hedgers, considered the “smart money,” had their lowest ever short exposure on a percentage basis of total silver contracts. While this is certainly not a guarantee, it does help silver’s odds of rallying from here. I think silver is on track to reach $17.50, its first overhead resistance level, by late April. The next target of $18.00 is within range by the end of spring.